A great enclosure starts with better design and materials. 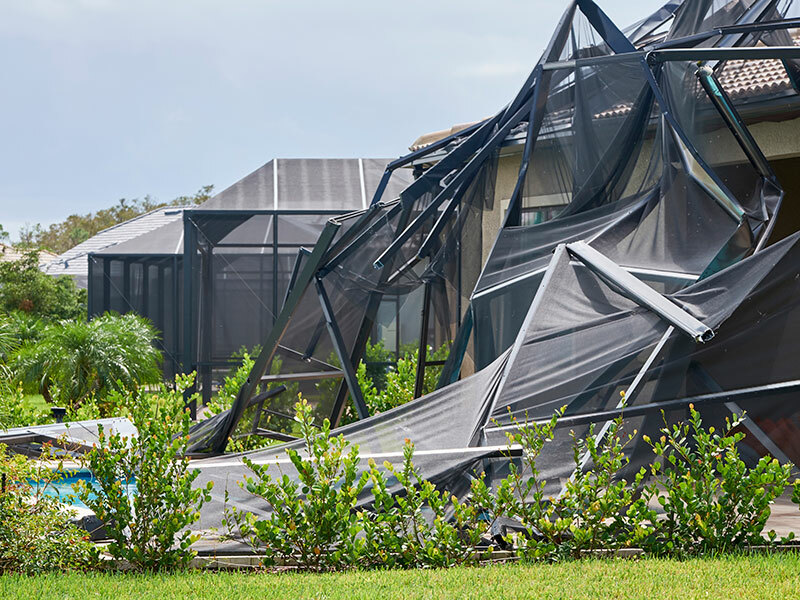 After Hurricane Charlie, CRA President, Tom Teffenhart was troubled by the high failure rate of traditional beams used in the construction of most every screen pool and patio enclosure. Tom saw a uniform flaw in the design and asked a NASA engineer if a beam would be stronger if the “lip” was tucked under (see side by side comparison). The response from the engineer was very positive but the new design proved to be substantially stronger than even he suspected after testing by an independent laboratory. After several years of further refinements and 9 US patents, our ChannelLock SMB is revolutionizing the Aluminum industry. The unique design of the ChannelLock SMB makes it behave differently than other beams and gives it a superior strength rating. This allows the spans to be further, which enables CRA to produce a better, stronger, more attractive enclosure with fewer fasteners and less material to get in the way of your view. Side by side comparison is the best way to illustrate why the ChannelLock SMB is superior to that of the industry standard. Can you tell which beam we use at CRA? If you are talking to other builders, you probably are going to get the beam on the right for your construction. The choice is yours. Why do other beams fail? 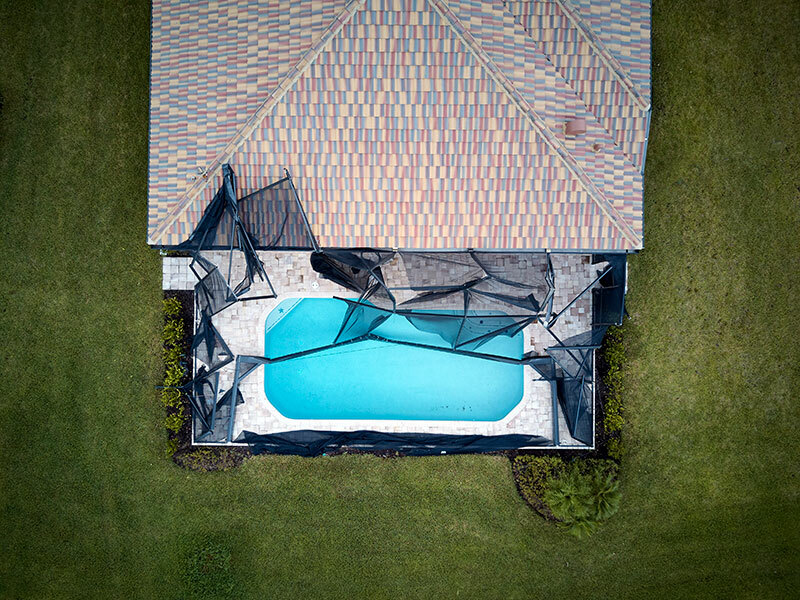 Hurricane damage to a Non-CRA pool enclosure illustrates why common materials are prone to failure under heavy loads. 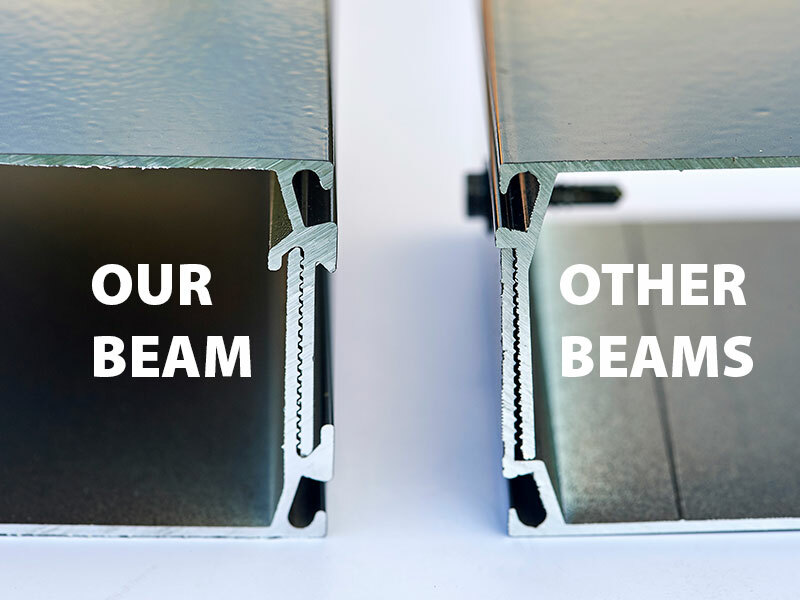 CRA uses an exclusive patented beam technology for a beam up to 40% stronger while able to span further distances than traditional beams used in most other screened enclosures. Florida Product Approval is a designation given to materials certified by the Florida Department of Business and Professional Regulation. It means that ALL material is independently tested and certified by an independent testing facility, and validated annually by an independent third-party quality assurance entity for conformance to testing, alloy composition, hardness, paint adhesion, and paint thickness. In fact this the only beam currently approved with the Florida Product Approval seal.